Recently, we met a lady on the tram who has lived in North Melbourne since 1993 (albeit with a 9 year gap on a boat in Papua New Guinea). Although 14 years doesn't seem such a long time, she did wonder where all the bums and homeless people who previously populated Errol Street (the main strip) have moved on to. 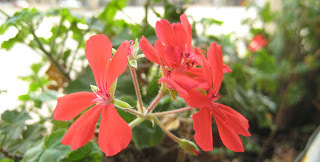 She bristled at the thought of Aesop opening a new branch on the corner where the florist used to be. By these measures, the contrast between what-was and what-is appears quite stark. Like some kinda hipster virus, cafes and bars are popping up all around Errol Street in North Melbourne. This may not necessarily be a bad thing, these additions manage to maintain some sense of community despite shifting the character of the area. 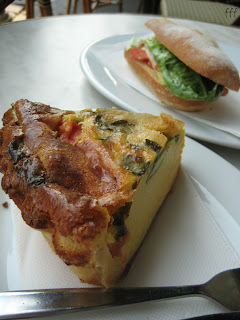 Brieftly, Fandango Cafe, on Errol Street (just east of Queensberry) does a great cawfee with bustling brekkies. The Red Monkey Tea House on Victoria Street offers tapas, cocktails and an extensive tea menu (plus a mean looking chess set!). Both of these recently opened establishments are friendly and have a cruisey vibe. 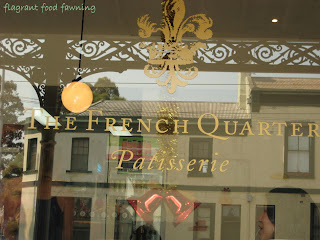 The French Quarter Patisserie occupies a corner space on Queensberry Street, a little further away from the crowds on Errol. There's a drool worthy selection of cakes, great cawfee and slightly haphazard but very friendly service. 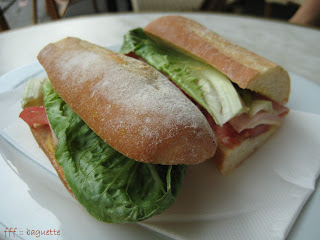 With our cawfee, we had a quiche and a baguette with ham, mustard, cheese and salad. 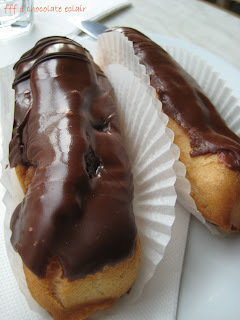 The chocolate eclairs were rather delicious. There are at least two or three other foodie-interests that have opened in recent memory, but if you were missing that ye olde North Melbourne charm, you could do worse than the Town Hall Hotel at the centre of Errol Street for a drink or two. I know how that lady you met on the tram feels (brunswick!) We had a lab christmas breakie at Fraus the other day, will have to venture into Errol street soon and try out some of these places they sound great! I have to add a recommendation for pizza at Oskar (also in Errol St) here. It's damn yummy and not your standard boring hawai'ian etc. I've got a pic of that harp in the Red Monkey Tea House! You have to try the coffee at Errol's Cafe on Errol Street, North Melbourne. Great stuff!! I have one every morning as I walk to work..
cheese cake at french quarter is pretty good too! 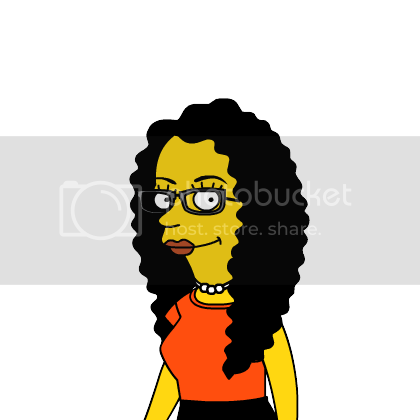 having it as i type!